Beautiful books for Christmas presents are coming onto our shelves now. Like new. Bargain prices. All sorts of subjects. 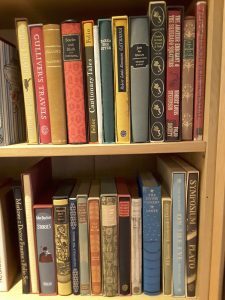 This week we are featuring a lovely collection of Folio Society volumes. Most have their original slipcase. Selling fast – visit us soon to avoid disappointment.